Did you finally give in to what other moms are saying and choose storage bags instead of baby bottles for storing breast milk? If you’re a busy and budget-conscious mom, you’ve made the right choice. Breast milk storage bags can keep your breastmilk fresh for times when you can’t pump milk right away. 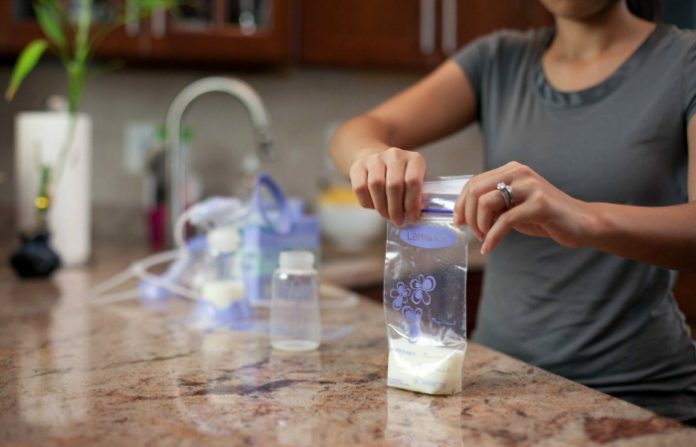 And to help you choose a product faster, here’s our list of the best breast milk storage bags that are worth your time and money. The best breast milk storage bags for most moms out there are the Lansinoh Breastmilk Storage Bags. These pre-sterilized bags prevent leaks with their unique design. Each storage bag has a special Click ‘n’ Secure zipper seal plus double-sealed seams to secure the milk from top to bottom, side to side. So, feel free to store these bags whether in an upright or flat position. 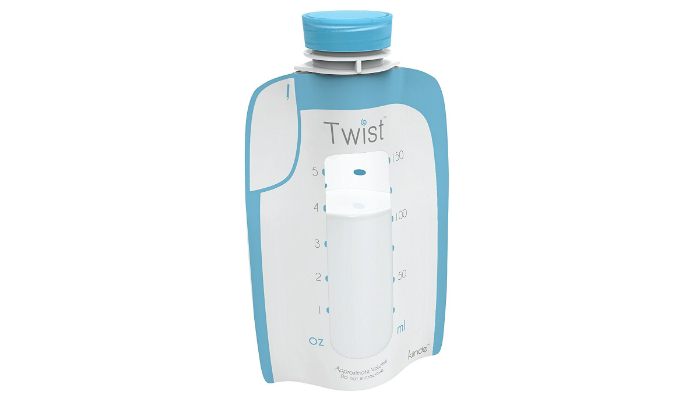 Kiinde Breast Milk Storage Twist Pouches are exciting to use because of their similarity to baby bottles without the expensive prices in bulk. Despite being similar to bottles, these breast milk storage bags are meant to be disposable for convenience. One pouch is enough for collection, storage, preparation, and feeding. However, even though this product aces the leak-proof criteria, its caps occupy space. Compared to simple flat bags, these pouches need a bigger space. 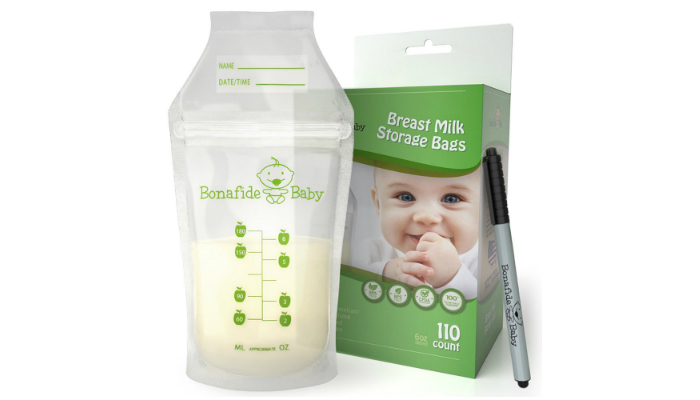 When it comes to quantity, Bonafide Baby Breast Milk Storage Bags beat most of their competitors. One box already has 110 bags. What makes this product unique is its free marker for easier organization according to date. We’re not just talking about any marker. This one is non-toxic, ensuring safe consumption. 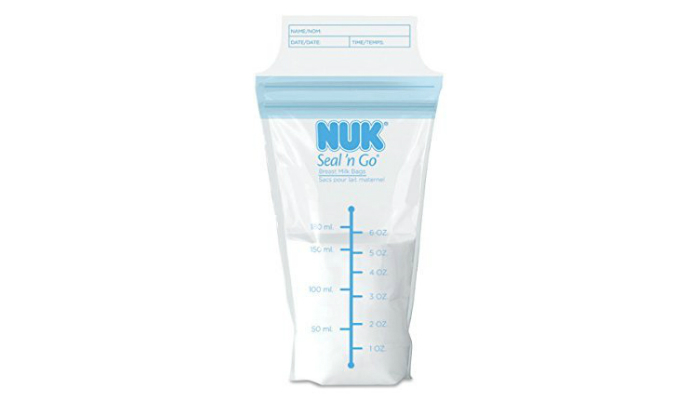 NUK Seal N Go Breast Milk Bags prioritize prevention of leaks from torn corners by having a gusset-free bottom. Each bag also has a double-zipper seal to secure the liquid even more. Another one of the product’s best features is the design of its top section. The top part makes it easier for you to spot a bag that’s already opened. One common complaint about breast milk bags is instability during vertical storage. Good thing that Medela Pump and Save Breast Milk Bags have a sturdy bottom. 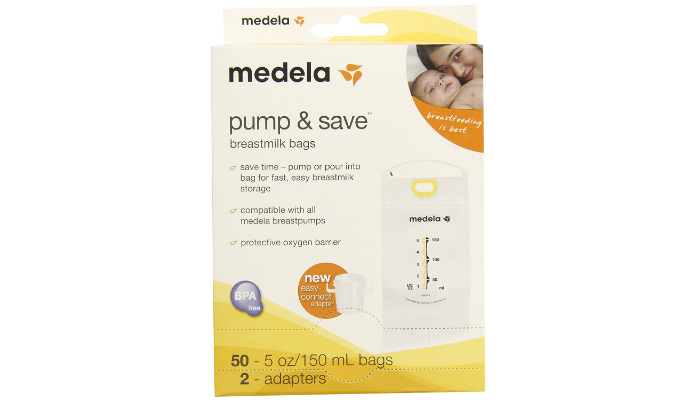 In addition, these bags have a special “adapter” to directly catch milk from a breast pump without spills. The adapter is removable which is convenient for storage. When you remove the adapter, the bag occupies a very minimal amount of space inside the storage area. 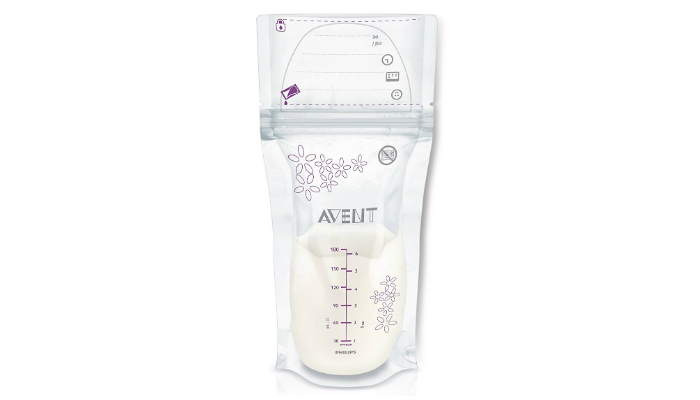 If you want a more affordable option that is as durable as our top pick, then maybe you’d like Philips AVENT Breast Milk Storage Bags. These bags have really tight seams and double layers. Additionally, these breast milk storage bags have an adorable design. They will look good in your fridge if you are particular about organizing. Baby products should always have the best materials and design to guarantee safe consumption. In the case of the best breast milk storage bags, the number one factor we considered is a pre-sterilized interior. Second, to be part of the best breast milk storage bags, a product should have high-quality BPA-free materials. The BPA-free feature is already a common thing for food storage products. Meanwhile, breast milk bags differ from other types of storage bags because of their pre-sterilized interior. You can’t just store breast milk in a regular Ziploc bag. A breast milk storage bag with the safest materials is useless if it has a poor construction. 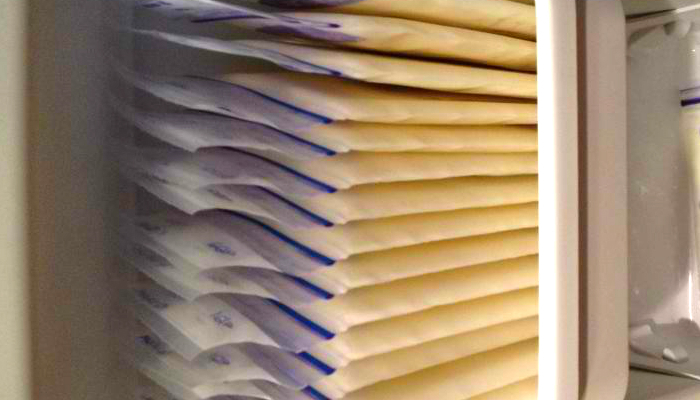 One reason why breast milk bags differ from regular food storage bags is their double or multiple seals. Most of them also have reinforced or double seams to securely contain the milk inside the designated space. If there are almost-absent seams and only one seal, the bag has less support to safely contain milk. The result is leakage. The leak-proof feature leads to other advantages such as your freedom to store the breast milk bags any way you want. It lets you store the bags horizontally, one on top of the other. The next advantage is the easier management of space inside the fridge or freezer. Even though it’s already a given that you can directly pump breast milk into a storage bag, our list comes down to the most convenient. Breast milk bags that are taller instead of wider can easily catch the liquid. It doesn’t even matter if the bag lacks a special adapter or rim that can attach to the pump. 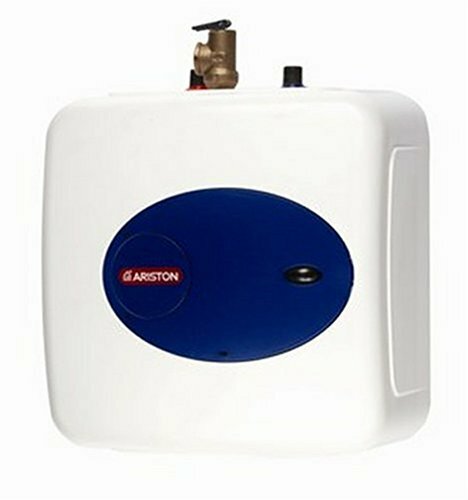 As long as the opening is not too wide for the pump, you can expect a no-spill experience. 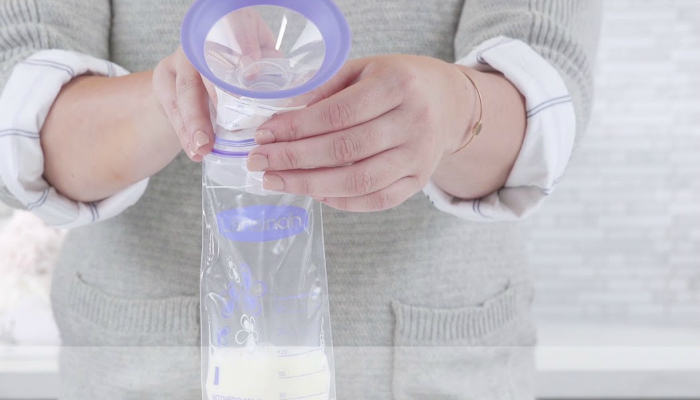 If you want an even more convenient option, then resort to breast milk storage bags that can connect to pumps. The disadvantage of this feature is that the bag can get bulkier because of the solid opening. Removable adapters can solve this inconvenience, but they are kind of rare. To store breast milk for several months, you really need to freeze it. Fortunately, storage bags are easier to defrost than baby bottles. You can actually chill breast milk instead of freezing it. However, it can only last up to eight days depending on the cleanliness of your fridge. Meanwhile, inside the freezer, breast milk can last for the entire year. Amazing, right? This is perfect for working mothers who are always overseas. It is crucial to never fill the bag to the top. There should be a gap of at least one inch between the milk and the seal. Frozen milk expands which can puncture an overly filled bag. Since you’re interested to use breast milk storage bags, it is also your responsibility to label each bag properly. The most important detail is the date. This prevents you from giving expired milk to your baby. To avoid confusion, write more details such as name and content. Breast milk can be deceiving for people who love drinking ordinary milk. 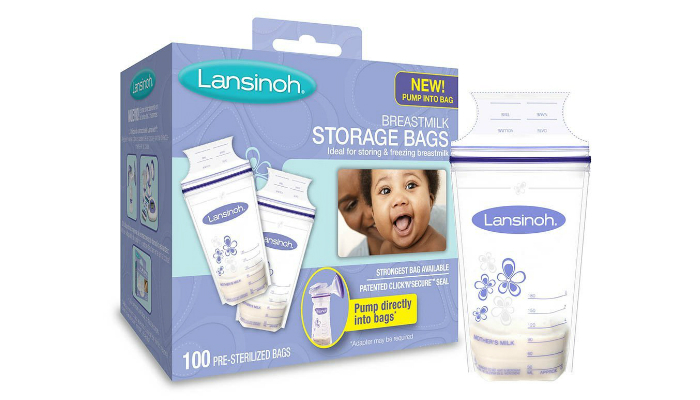 We chose Lansinoh Breastmilk Storage Bags as the best breast milk storage bags. They are all pre-sterilized and convenient to use just like other products on our list. Their unique seal and seam design make them hard to beat when it comes to being leak-proof. These bags also save a lot of space inside refrigerators and freezers because of their compact, slim shape.